Detective Achille Dunot suffers from a strange form of amnesia. Since a recent accident, his brain has lost the ability to form new memories. Every morning he wakes up with no recollection of the previous day. 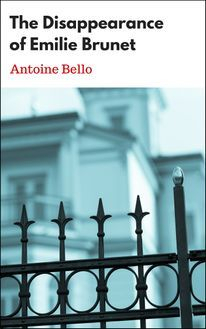 When the chief of police asks him to investigate the disappearance of wealthy heiress Émilie Brunet, Achille decides to keep a journal in which he logs his findings of the day before going to bed. This diehard fan of Agatha Christie thus becomes the hero and the reader of a strange detective novel, of which he also happens to be the author. Before long, all clues point to Claude Brunet, Émilie's husband. Brunet had many reasons to kill his wife, has no alibi, and not-so-subtly boasts of having committed the perfect crime. As a world-class neuroscientist, he’s also one of the very few people who can grasp Achille’s ailment.